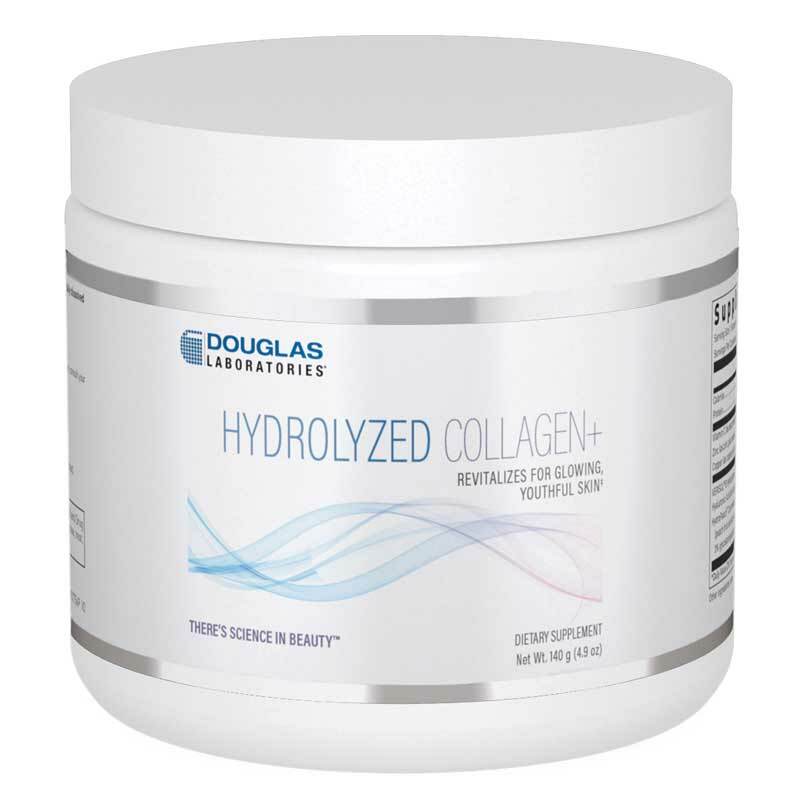 Hydrolyzed Collagen Plus from Douglas Laboratories is a dietary supplement and drink mix that dissolves in almost any beverage, and can be taken for support of healthy-looking skin, hydration, texture, and tone. Additionally, this formula supports healthy joints, and may be ideal to help maintain mobility during normal aging. Take one scoop of powder twice daily, dissolved in water or beverage of choice, or as directed by a healthcare professional. Hydrolyzed collagen is normally taken from bovine bone and cartilage, and is made up of small amino acids that may support the development of collagen in the body. Collagen has numerous roles in the body, including support for the structure of cells that form bone, muscle, tendons, skin, and much more. Hydrolyzed collagen may provide several potential medicinal benefits to healthy-looking skin and joints, including support for skin density, moisture retention, and overall appearance. It may also provide comfort during physical activity and support the overall articulation of joints. Experience Hydrolyzed Collagen Plus and see if it makes a difference in your life. Adults: Take one scoop of powder twice daily dissolved in water or beverage of choice, or as directed by your healthcare professional. If you are pregnant, nursing, have any health condition or taking any medication, consult your healthcare practitioner before using this product. Keep out of the reach of children.